﻿ About Us - J-Seed Ventures, Inc.
Mr. Char is a serial entrepreneur. He has many years of experience in dealing with market entry and has assisted numerous foreign companies establish operations in Japan. 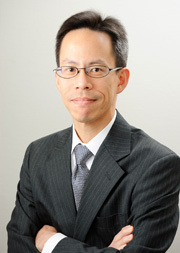 He has also founded a number of his own ventures in Japan and the US, including: maneo, Japan's first social lending service site; Sozon, an online marketing company sold to ValueCommerce; Solis, a domain registrar sold to GMO Internet; SSK Technology, Inc., a printed circuit board company sold to Suzuki Manufacturing; and Pario Software, a network security software company sold to Lucent Technologies. Prior to becoming an entrepreneur, Mr. Char worked as a corporate attorney (licensed in the State of California) and as an investment banker. Mr. Char studied economics at Sophia University in Tokyo and law at the University of California, Berkeley and Harvard Law School. Ms. Yoneyama is a certified tax accountant. She is responsible for market entry consulting as well as managing back-office operations at J-Seed and several of the company's portfolio ventures. Prior to joining J-Seed, Ms. Yoneyama worked at Sasajima Tax Accounting Office. Ms. Yoneyama is a graduate of Rikkyo University in Tokyo. Mr. Senga spent 39 years of his professional career at Sumitomo 3M where he held various Sales and Marketing positions. In 1993 he was appointed General Manager of the Home Consumer product, DIY& Commercial Care division and from 2000 on he worked as a Manager within the Customer Technical Center. Since 2005 Mr. Senga has been a Director at J-Seed where he has been involved with various J-Seed portfolio companies. Carl Kay is a consultant who works with services sector companies in the US and Japan to develop new markets, new capabilities and new partnerships. After graduating from Harvard in 1978 Kay founded a company that grew to become a global leader in Japanese software localization services. Kay sold that firm in 1998 to a company that went public on US NASDAQ in 1999. Since 2000 Kay has been active as an angel investor and outside director at several firms including J-Seed. He was adjunct faculty member at Meiji University and is author of a book and numerous articles about services in Japan. Kay is a Doctor of Business candidate at Hitotsubashi University in Tokyo and a Research Associate at the Reischauer Institute of Japanese Studies at Harvard. He is volunteer president of the Harvard Club of Japan, the largest organization of Harvard alumni in Asia, and a Director of the Japan Society of Boston. Carl splits his time between residences in Tokyo, Japan and Cambridge, Massachusetts. Ryo spent 10 years in the Philippines prior to studying International Business and Economics at Sophia University in Tokyo. Ryo has been with J-Seed Ventures since 2005, participating in several partner companies where he frequently assisted in starting up the businesses, marketing and business development. He has experience in the mobile/smartphone, online marketing and ad businesses. In 2008, he was in charge of starting up an iPhone ad network and produced an iPhone app at TrafficGate (currently LinkShare Japan K.K., a Rakuten, Inc. group company). Ryo also has experience in starting up his own venture, a mobile marketing company. Ryo is also an angel investor in several startups and serves as a advisor to a mobile marketing solution company in China and a Japanese public company that is expanding its mobile business overseas. From time to time Ryo writes about technology ventures and overseas market news for CNET Japan and TechWave. He loves working with startups and in addition to being an avid blogger, he is a serious networker who is constantly meeting people and hooking them up with others. Ryo was selected as a Leaders of Tomorrow at the 40th St. Gallen Symposium held in 2010 and in 2011 as a member of World Economic Forum, Global Shapers Community (GSC) in Japan. Copyright © 2010 J-Seed Ventures, Inc All Rights Reserved.